Oh, no! SunRAWise currently doesn't have any offers on Vegan Cuts. However, check out our monthly boxes for vegan items delivered right to your door! 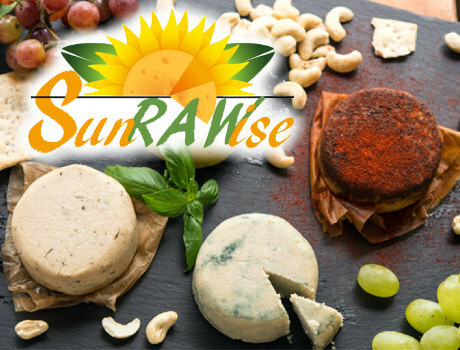 SunRAWise is dedicated to creating artisan vegan cheeses. Their products are made from scratch, using the finest organic and sustainable ingredients and packed with lots of love. Their outlook: "We love life, we care about the environment, we love good food, we have great respect for it, we like surrounding ourselves with good energy…we go with the flow for a healthy life!" Follow SunRAWise and get notified when they add new offers to Vegan Cuts.